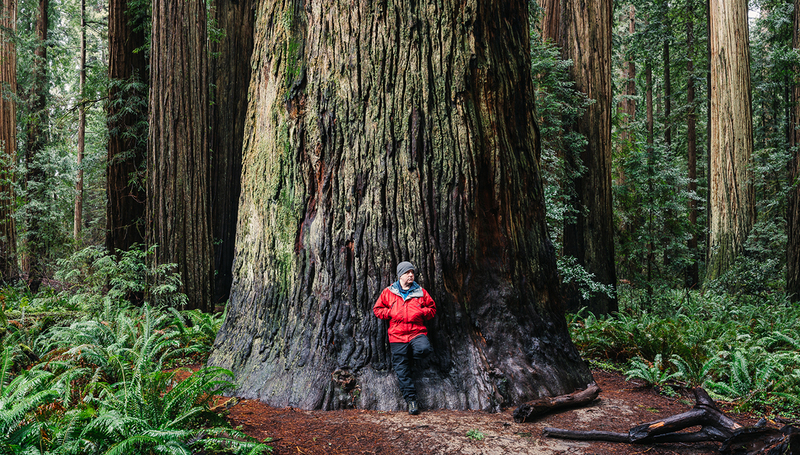 If there’s one compositional topic that factors into photographing at the base of these gigantic redwoods, it’s scale. By placing my good friend Brian against the trunk of this redwood, I have given the viewer an aid in grasping the enormity of the tree. People generally understand the average height of a person, and when you contrast that element against another one of significantly greater—or smaller—dimensions, you introduce a sense of scale, a very powerful compositional technique.